Pitt played well for the first 3 minutes and the last 8 with 49 minutes of futility in between; moved the ball ok but couldn't score - scored on opening drive and then twice in the last 8 minutes. Game was capped with an exciting finish: Pitt scores with less than a minute left to take a 19-15 lead but WVU got the ball back and got to about the Pitt 20 for a 4th and 1 pass play, as time ran out, that ended with an incomplete and an offensive pass interference call. Game over. (And worth the trip). Sensible and wise people, those Vaticans. Tiger Beat Media strikes again! Of course, you can't blame BONED* entirely for people not keeping themselves informed but if that's all the news that's fit to print, then that's what the people will read. *Barack Obama News and EDucation - the conglomerate of the media and educational system which carried BHO through the finish line. I decided to try upping my usual brisk walking pace and turned it into a light jog. I literally hit the road running and I ended up running one mile without stopping. I clocked it, loosely, at 12:00 which isn't bad at all since I don't think I have ever run a mile before without stopping. I continued on for another 1/4 mile or so before slowing down to a walk. Now that I cleared this major hurdle, I think that with a little work I can beat 20:00 in two miles; of course, I need to show that I can run two first. But, I think I can do two with no problem and I am even thinking long-term about a 5k by next summer. Since I haven't been biking as much, I've started lifting weights and doing sit-ups and push-ups to continue my pursuit to get in shape. Actually, let me amend that - to stay in shape. I also fit in a 1.5 to 2 mile walk a few days a week. Bench press - usually do 5, 3, and 3 on the bench. Five sets of 10 reps followed by 3 of 10 and another 3 of ten; 80 lbs. I hope to up this to 100 by early January. All sets are 10 reps below, too. Legs - 5, 3, 3 of 40-50 lbs. I can do more but walking and biking make up for it. I also measured myself against US Army fitness standards for someone my age. In my first timings, I did 38 sit-ups in 2 minutes and 50 push-ups in 2 minutes. The former just met the goal and the latter exceeded it. For my age, the standard for a 6.2 mile bike ride is 26:00 which I am sure I can do. The standard for a 2-mile run is 18:18 which I don't think I can do. I was never a runner; I get winded too easily and even as a teenager I never did well in running when we did it in p/e; even the smokers beat me and I was in fine shape then. I could probably walk 2 miles in less than 30 minutes so maybe a real brisk walk with some light running interspersed - maybe I could do 2 miles in reasonable amount of time but under 19 or 20 would be a stretch. But biking? Heck, 10 miles is no sweat. Maybe it's my feet because it's not my legs. In a city that's been mired in corruption and malfeasance for decades, one would think that the citizens of Philadelphia would want change. But, alas, every election, they pull the straight "D" and then wonder why the city is broken on so many levels. Since 1952 the city has been under the leadership of a Democrat mayor; each seemingly leaving the city worse than it was before he took office. America has proven she can vote for change on a level that least affects them yet it seems that they cannot vote for change on the levels that affect them first and foremost. 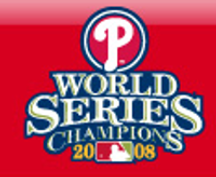 Ironically, when one thinks about it, the people of Philadelphia really have experienced change - change for worse. "Change" and "improvement" are not interchangeable terms. The Tiger Beat media strikes again. US GDP increased 83% under Reagan, 50% under Clinton, and 44% under Dubya. That latter number isn't bad at all for being in a recession since 01/20/01. Considering BHO is the Second Coming, anything less than 200% would be a failure. Boy, do I sound bitter or what? I better continue to worship Christ and buy a gun to cling to while I still can. Phils Win! Phils Win! Phils Win! Unbelievable! YAHHHHOOOOOOOOOOOOOOOOO!!!!!!!!! Tasteless? Yes. Despicable? Sure. Over the line? Probably. Free Speech? Perhaps. ...but imagine the outcry if the owner of this display said "Barack Hussein Obama" in front of a crowd of people. The Thought Police wing of Obama supporters would be all over him. Imagine the outcry if this were an effigy of BHO himself; it sure as hell would not be interpreted as "political satire." Keeping with the animal theme - seen the other day in my yard: a gray fox. Apparently, seeing these is a rare event. I heard a growl of sorts and looked out in the yard and couldn't believe what I saw. I grabbed the camera, which had no batteries and by the time I found batteries, the fox had moved into the woods. About five minutes later, my cat came trotting in from around the garden. I think the two saw each other but the cat was not aroused with the puffed up fur like he usually has when he encounters something. The fox was a little more gray than the standard web search images I'm finding and it actually looked a little like a small coyote. However, judging by the ears and tail, this was definitely a gray fox. Since the title pretty much sums up what happened, I will expound. Little over a week ago, we had a squirrel in the garage. Our garage has a typical door and a people door. The squirrel came in through the people door because the car door was closed. Whether the cat brought it in*, chased it in, or it got lost, I don't know. I noticed the cat starting at one corner of the garage (having a cat alerts you to certain oddities). I shooed him away and scooted him inside when I saw the squirrel, cowering behind a boom. I immediately opened the garage door thinking it's a no brainer he would run out through the generous 9x7 opening but no. He scurried along the wall, climbed some (they can scale concrete walls), and shot around and when up the mast for our dinghy. I picked the mast up and was going to lay it out on the lawn but the squirrel jumped out and did another loop. This time I lost him and didn't hear nor see him. Assuming he got out, I let the matter go. Well a few days ago a stench emerged. After day or two without subsiding, I finally poked around and noticed that an old golf bag was laying on its side. So I picked it up and took it outside. Pulled the clubs out, gently, and then turned the bag upside down and, plop! The bag, which is now in the trash, is small and narrow - maybe 5" diameter at most. So, I learned that squirrels don't have good turn-around skills like ferrets do and when scared, will go into any opening, no matter how narrow to escape. These two items, coupled with the fact that he failed to leave through a large opening, passing by it twice, I have concluded that squirrels are pretty dumb. But a question remains - assuming he lived for while, maybe a week, in the bag, why didn't we hear him trying to escape? Why didn't our cat, an expert hunter with keen senses, not sense him and sit and stare at the golf bag? Granted, the bag was behind a stack of stuff and somewhat hidden but still, I don't know why the cat, at least, didn't clue us on to the squirrel. *Over the weekend, there was another squirrel in our garage. The cat got this one. When I scooped it up with the shovel, I was surprised to see it move its head, rather lethargically, like he was drugged or, more likely, severely beaten. It was alive but barely so I scooped it up and threw it, like I did with our golf buddy, in back into the woods.